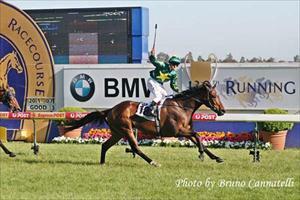 It’s been three years and seven days since Caulfield Cup victor Master O’Reilly has won a race but trainer Danny O’Brien has built a strong case as to why the veteran stayer can end his run of outs in Saturday’s Group II Moonee Valley Cup (2500m). The last time Master O’Reilly was first past the post was in the 2007 Caulfield Cup when he led home an O’Brien-trained quinella, beating Douro Valley. Since then he has contested the Caulfield and Melbourne Cups in 2008 and 2009 but a “mild bout of colic” ruled out his fourth consecutive Caulfield Cup start last weekend. O’Brien said the eight-year-old gelding goes into Saturday in “good order” and the stable is “every bit as happy with him” as in previous years. “Previously, he’s been lining up in the Caulfield Cup but this year we missed it and he’s very well suited in the Moonee Valley Cup,” O’Brien said. “He doesn’t get competitive until they get to 2400 metres and beyond. Master O’Reilly’s 1102 days out of the winner’s stall has seen the tough stayer get weight relief under the set weights and penalties conditions of the Moonee Valley Cup. That combined with the lesser grade has O’Brien believing his warhorse gets his chance to taste victory for the ninth time at start 44. “He avoids the penalty because they accrue from 2008 onwards and we expect him to be very competitive,” he said. “He’s not going to know himself with that weight in a race like this and generally when he gets in the right race it’s a Caulfield or Melbourne Cup and he runs well. This year he’s down a peg. “This isn’t going to be an easy race to win but it’s not a Caulfield or Melbourne Cup so he’s going to have to be a terrific hope. Dwayne Dunn will take the reins aboard Master O’Reilly who jumps from barrier one in the $250,000 Melbourne Cup lead-up.